Marks & Spencer has been slammed by unions over a new bonus scheme for its top bosses, which could add millions of pounds to their pay packets. Chief executive Steve Rowe stands to earn a maximum of £1.8m on top of his basic salary in 2019, which Retail Week says would take his total pay to £4.2m. Finance chief Helen Weir could pocket a potential bonus of £1.3m, while Patrick Bousquet-Chavanne, the firm’s customer and marketing director, could receive £1.2m. Sky News notes that to qualify for the bumper payouts, senior staff would have to hit a series of performance targets “in areas including profitability and efficiency”. 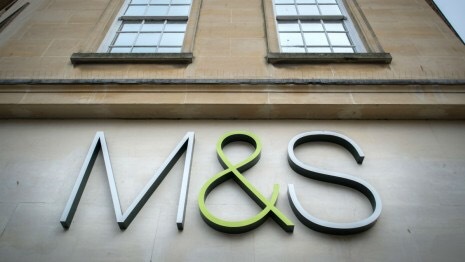 Unions have expressed their outrage, with the trade body for shop workers (Usdaw) saying that M&S is “treating workers with contempt”. Usdaw is particularly angry about a pay settlement agreed by staff “under duress”. This will up the minimum hourly rate for shop staff to £8.50 per hour from next April – and £9.65 in Greater London. The rate is well ahead of the national living wage, but in return the company is scrapping premium pay on Sundays, cutting it for bank holidays and closing its generous defined benefit pension fund. The union is also challenging the retailer’s plans, announced last month, to close the equivalent of 60 clothing and homewares stores as part of a long-awaited turnaround. An M&S spokesman said: “The changes to pay and premiums, which come into effect from April, will reward our people in a fair and consistent way, simplify and modernise our business and make our colleagues amongst the highest paid in UK retail. Posted on December 10, 2016, in Other. Bookmark the permalink. Leave a comment.